It is the time for the people of Chinese ethnicity to celebrate their lunar calendar new year. It is a major national holiday in Malaysia, despite they are only 26% of the population. Generally, the year of the Rat was bad for many if not for the majority of non-Chinese ethnicity in Malaysia. They had to endure very challenging and provocative re-occuring events, statements and ridiculous demands made by probably a group of minority within minority. 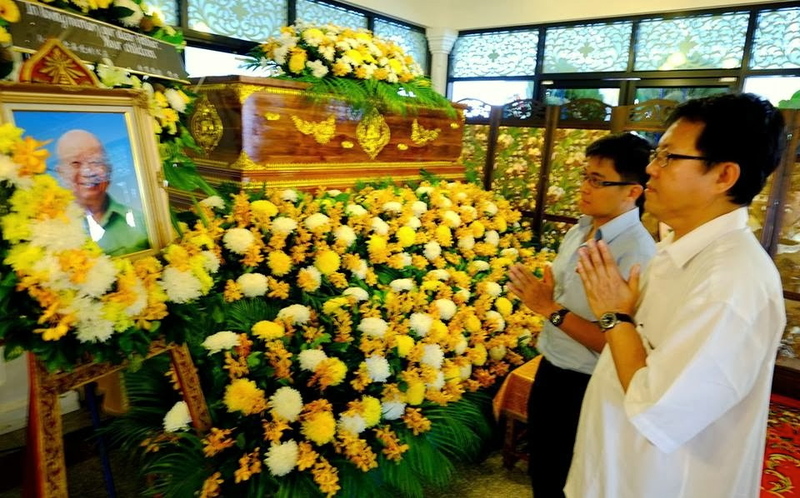 First, some of the minority demons within areas like Kuantan and Raub tried to instigate the local folks with imported support from elsewhere, about ghosts in make believe world without substanting it. Coincidentally, more than 90% of their imported cheer leaders are of Chinese ethnicity. Then there were other demons who systematically tried to provoke the more dormant and tolerant Malay-Muslim majority with ultra contentious issues such as Islam, through apostasy, prosetylisation and challenging Home Minister’s ban on the use of kalimah “Allah” in place of God (particular, Christianity materials in Malay). The role and position of Islam as the Religion of the Federation of Malaysia, HRH Rulers as Constitutional Head of Islam and administration of Islam are also distastefully provoked, in perpetuity. 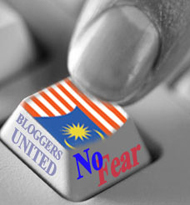 This continuous manipulated and distasteful ‘intepretations’ and provocations, which is actually realising the Opposition’s ‘politics of hatred’ strategy started to bear fruit when a Malaysian Chinese man showed the ‘finger’ to Her Majesty Seri Paduka Baginda Raja Permaisuri Agong in Bayan Lepas International Airport. Then 13GE came with the rude awakening of the “Chinese Tsunami”, expressed by none other than Prime Minister Dato’ Sri Mohd. Najib Tun Razak personally despite his effort to make a lot of concessions to woo the Malaysian Chinese to support his administration. 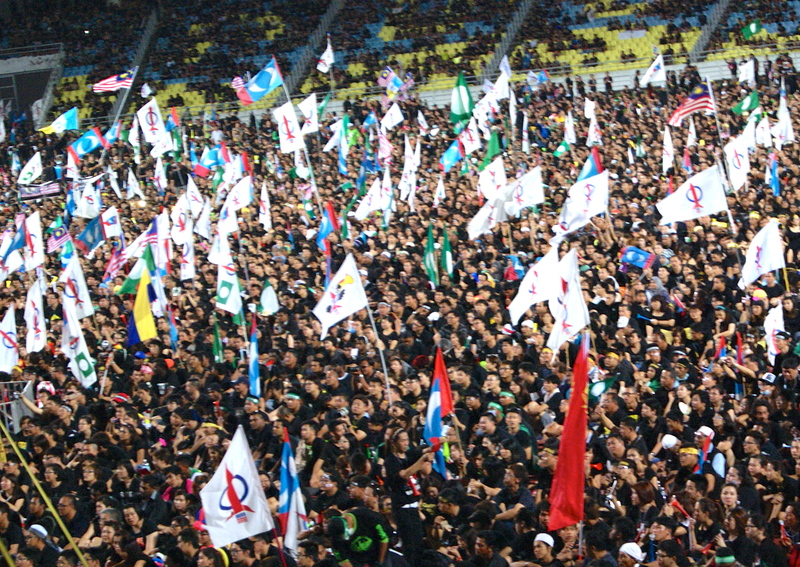 The majority of the same group of Malaysian Chinese actually believed the perpetuated lies about the 13GE was being adulterated and marred by cheating, which include Opposition Leader Anwar Ibrahim’s blatant lie “Government flew in 40,000 Bangladeshis to be phantom voters for BN” and the “Blackout in Bentong, during the counting of votes”. With that, they thronged the roads and do illegal public assemblies all over Semenanjung in the mobstreet political move of ‘Black 505’, in the sordid attempt to topple the legally elected Federal Government through the pre-planned ‘Malaysian Spring’ rallies. Economically, they have demonstrated their will and determination in not allowing Malay entrepreneurs and businesses gain a footing even though they are capable and have demonstrated their ability to do so. An example is the continuous campaign against businesses and projects undertaken by Al Bukhary Group. Tan Sri Syed Mokhtar Al Bukhary and Co. have been systematically presented as a ‘crony’ in a simplistic single breadth when the example of Government-Private co-operation or privatisation is brought forth be it in a forum or any of the Malaysian Chinese controlled media. Especially, through business publications. These same people never take any opportunity to question projects such as the ‘School IT Bestari Program’, which is completely under the control of YTL Corporation. The aggressive below-the-line campaign against Gardenia is another damning example. Johor, which is regarded by many as the core the Malay civilisation and fixed deposit of power has been in the systematic agenda and program to be devoured, by Chinese ethnic entrepreneurs be it Malaysians, Singaporeans or from mainland China. The departure of Communist Party of Malaya Secretary General Chin “Butcher of Malaya” Peng in Bangkok was also the demonstration on the attitude of how Malaysian Chinese were willing to easily forget and forgive amongst their ethnic kin, despite that this man was instrumental in the brutal murder of stimated 18,000 souls in waging an armed rebellion between 15 August 1945 to 1 December 1989. That is just internally. Externally, the Chinese People Liberation Army (PLA) flexed the military muscle on their unsubstantiated imaginary ‘Nine Dash Line” to continuously show their blatant disregard for United Nation’s Convention of the Law of the Seas (UNCLOS) and ASEAN’s Document of Conduct (DOC) signed in 2002. They rudely demonstrated their ‘Projection of Power’ and continous presence in areas 50 nautical miles of the coast of Sarawak, deep within the Malaysian EEZ. All these systematic initiatives and encroachment by persons of Chinese ethnicity, be it from within or outside, must at some point reach a point of discontent and the will of reciprocity by the majority. The fact is that the Malay-Muslim majority who are indigenous people of Nusantara (historically, was part of Malay civilisation and empire like Srivijaya, Langkasuka, Melaka Sultanate and Johor-Riau empire), have proven in their reception, tolerance and accommodation. This blessed land has room for everyone. Its just that all parties must be mindful as not to thread onto other people’s toes. 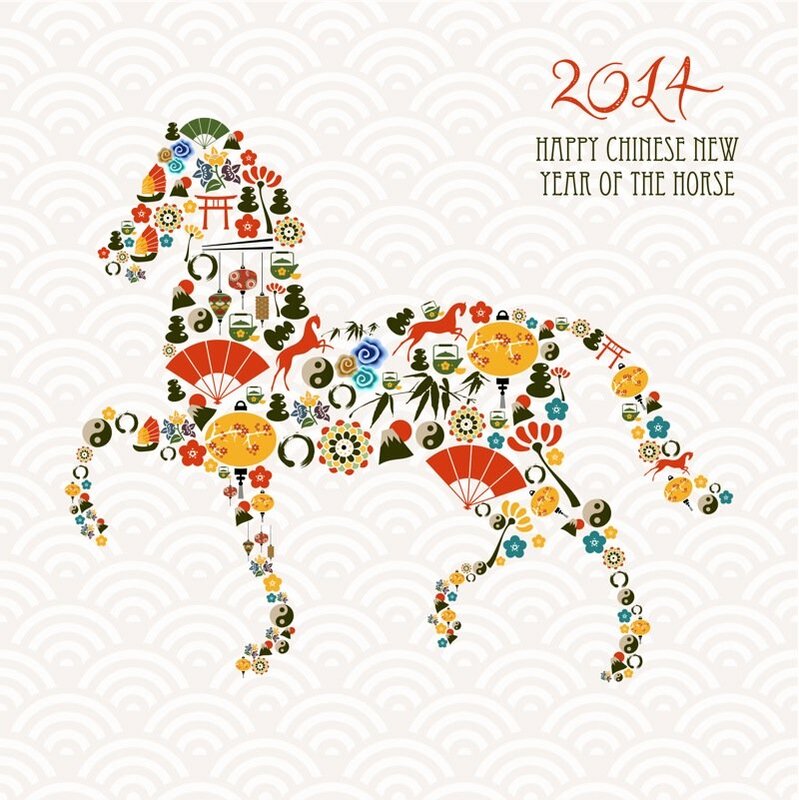 May the year of the horse be prosperous to all, not just the Malaysian Chinese. Its a symbol of strength, dynamism and reliability. The prosperity, is something that should be shared portions deemed to be suffice if being offered in right dosages and taken in the good faith of togetherness, tolerance, spirit of reconciliation and accommodation.